Yesterday was April Fool's Day. Tongue is firmly in cheek for this column. Blogging. The New Coke of writing to some of the more affluent and successful authors out there who feel their human waste product doesn't produce an aroma of rotting hamburger meat. On a daily basis, millions of writers produce volumes of material on their pets, their food, their pet food, or the zombie pets who eat their children as food. With so many blogs out there it's hard to reach an audience. 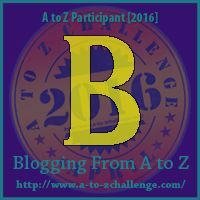 True, there are events like the annual A to Z Blogging Challenge; however, these are only short-term ways to drum up readers. Or, if you have another idea in mind, minions. There must be a way to pull in the readers you desire. Well, thanks to me, I have some suggestions which can help. Please pay attention as there's going to be a blue book test later. Talk about politics -- Oh, there's nothing more wonderful than writing about your favorite candidate or party and telling others why their favorite candidate or party is totally bogus and will bring our country down to the level of Mad Max. The new one, not the Mel Gibson one. Trust me, you'll receive nothing but the most intelligent and thought provoking comments to your blog post. Heck, some people may even suggest they meet you in person. Talk about guns -- See above for this. The only difference is you may want the police to drop by your house when commenters suggest they meet you. Tell authors what they're doing is wrong -- Up-and-coming authors love to read what they're doing is absolutely wrong and the way you do things is absolutely right. They want to self-publish? Wrong. They want to go to a traditional publisher? Wrong. They want to write dystopian Amish crime thrillers? Wrong. Well, the last one may be wrong because the blogger already has a dystopian Amish crime thriller in the works. Say E.L. James is the greatest writer of 21st century contemporary romance -- Again, this encourages the writers. Again, you may want police presence when the commenters say they want to visit. Or, for that matter, when E.L. James wants to stop by to personally demonstrate some of the objects she wrote about in her book. Write April Fool's Day blog entries one day after April Fool's Day -- Because people want to be totally confused with what you write. It's the American way.